Come Live Your Dream at Linchwood Estates! This spacious 27 lot community offers the perfect balance of tranquil country living and contemporary city convenience. 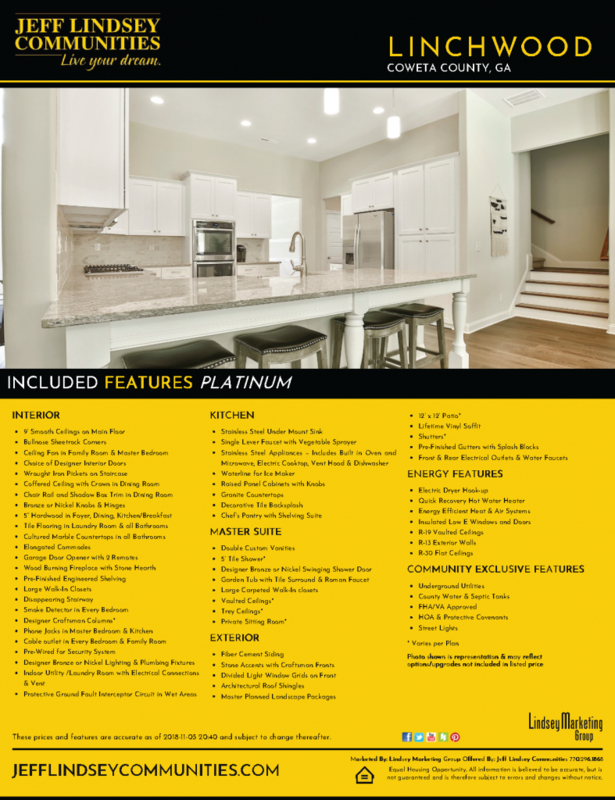 Located just minutes from Peachtree City and downtown Senoia, this upscale development will showcase Jeff Lindsey Communities' award winning floorplans, unsurpassed quality and superior value. Find out today why so many families are calling historic Coweta County home! From Peachtree City: Travel HWY 54 South for approximately 5 miles. Turn Left onto Hwy 16 East and travel for 0.5 mile. Turn Right onto South Hunter Street for 0.5 mile. South Hunter Street becomes Linch Road. Travel approximately 2 miles and Linchwood will be on the right.